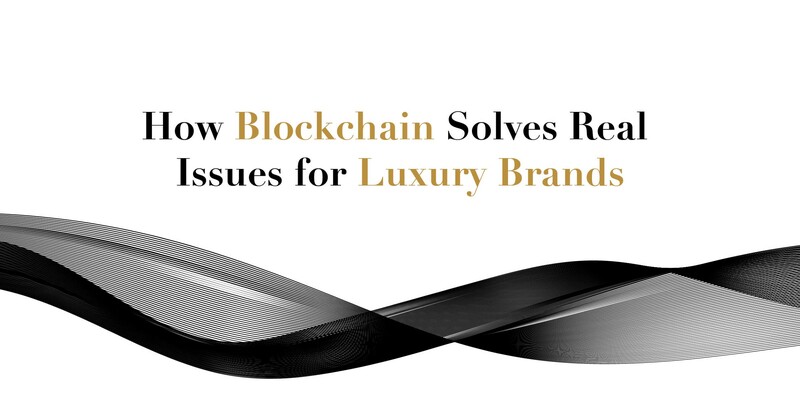 How blockchain solves real issues for luxury brands? That is a question that the C.M.O of a famous luxury brand asked me. When a new technology with the potential to disrupt entire industries emerges, this is a pretty common reaction! Even if we disregard the hype that “blockchain is the next revolution”, the reality of the situation was that even if I had sat there all day trying to explain it to him, he probably still wouldn’t have a full understanding of it from an operational standpoint, but that’s not really his fault. So what exactly is this “revolution” about? Blockchain is often presented in a technical context and — let’s be honest — it is very abstract, and also requires an individual or organization with a strong willingness to accept a change of this magnitude. By no means am I a self-proclaimed “blockchain expert”, but here is what I’ve learned since I began my journey with the Arianee project, THE blockchain-based protocol for the luxury industry. How can blockchain impact the luxury industry? 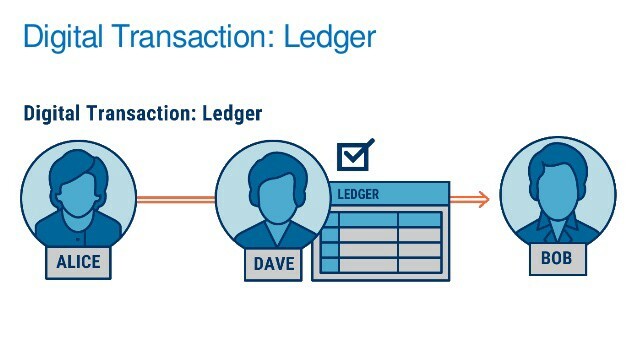 Simply expressed, blockchain is the digitalization of trust. Trust is everywhere in our day-to-day interactions, especially when it comes to transactions involving high-end luxury items. I once wanted to buy an expensive vintage watch in the second-hand market. My first priority was making sure it was authentic. My first thought was to look into the brand’s website to find out if they sold verified second-hand watches. They didn’t, so I tweeted the brand to ask how I could handle it at best. The brand’s answer was, in essence, “Buy it and bring it to one of our stores and we’ll let you know if it’s authentic and in good working condition”. As a buyer, I was presented with a major problem. Buying the watch first, before verifying its authenticity, made absolutely no sense to me! Surely the seller should be able to provide an invoice and a certificate of authenticity. But, knowing that counterfeiters are surely capable of replicating a watch of this complexity, they would have no trouble generating a fake invoice on Photoshop. Blockchain technology can, in fact, help to combat counterfeiting and Arianee intends to contribute in a major way. Blockchain is trustable by design because it is decentralized (you can read an amazing article here explaining why it matters) and independent, meaning that everyone can participate. By utilizing the blockchain to create a digital certificate of any luxury item you buy, you’ll be able to verify that a product is authentic, that it hasn’t been stolen, and that it was well taking care of, all on the easy to use Arianee app. Users will be able to register all of their valuable assets on this single app, regardless of which brand it belongs to. 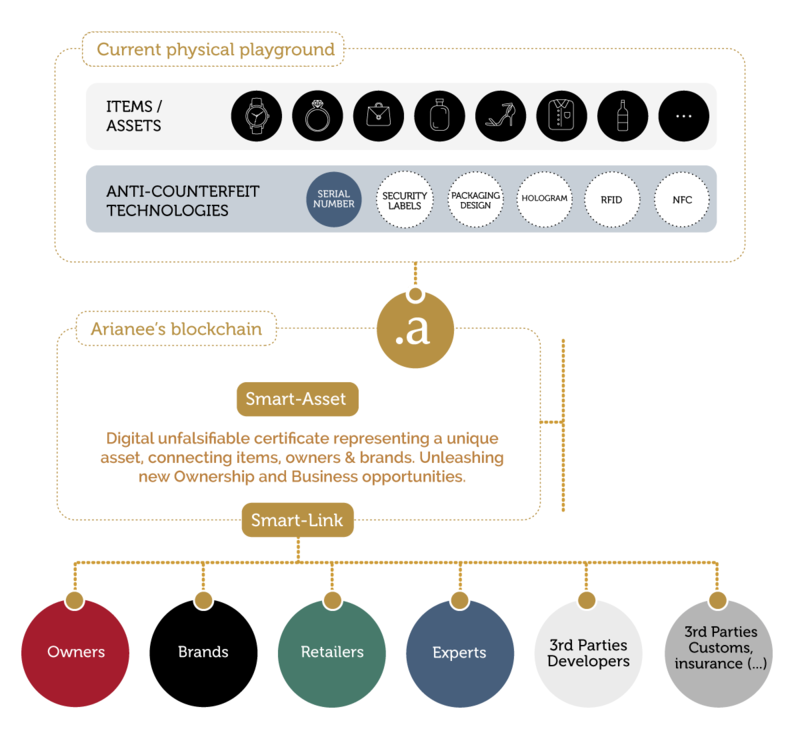 Arianee’s ultimate vision is to become the world’s leading proof-of-authenticity protocol for all of the valuable goods that exist in the world. Customer relationship management (CRM) is an expensive and complicated ordeal. Since most luxury brands take their clients’ data very seriously, they don’t trust third parties and often develop in-house solutions. This is fine from a customer’s point of view but from a brand’s perspective, these solutions often become outdated in terms of underlying technology, and Brands are unable to provide proper personalized content in a very responsive manner. Another major issues faced by brands is the grey market. When owners of luxury items decide that it is time to sell, the brand has no way of reaching those second-hand buyers and to make matters worse, they lose touch with the original owners. Obviously, the same could be said for the second-hand market or heritage products. Through Arianee, brands will have a channel enabling them to communicate anonymously with the person who actually owns the digital certificate (and therefore the product), whether he/she is the original buyer or a subsequent owner. And by its very nature, Arianee’s blockchain is fully GDPR compliant by design and won’t compromise customers personal datas. What is involved in being a protocol as opposed to a start-up? At the core of blockchain technologies is decentralization. This means that the network requires different types of participating organizations to allow everyone to participate. There is no need for a centralized coordinator like there is for a start-up; instead , blockchain-enabled organizations develop protocols. - The Consensus Mechanism: it is a set of rules that aligns the interests of all users. This resolves how new information is added to the blockchain as well as the new features or the upgrades to the network. - The Data Structure: in the blockchain, every user stores a copy of the entire database, which means that even if you want to stop participating, you can still access and reuse all of your data. But this data is encrypted and can only be read if the user gives you their decryption key. In essence, being a protocol assures total independence and security around data but also allows third parties to add new layers if they respect the rules of the consensus mechanism. Speaking personally, I can say that Arianee was the very first project I’d heard of that I could relate to easily and envision how it could bring value for everyone (except for counterfeiters and thieves), which is why I’ve decided to join this amazing senior team on this journey. I welcome all of your questions, ideas and comments. Also, if you work at a luxury brand, we would love to come to your place and listen to your specific needs so that we can shape Arianee into the best version of itself. Let’s do this together now! The first perpetual, anonymous and trusted record of all valuable assets in the world.